By daylight, get up close to the might of Iceland’s raw nature. Climb down to the pits of the earth to wander among colorful lava formations. Marvel at the untamed power of the majestic Gullfoss waterfall and the unpredictable geyser Strokkur. 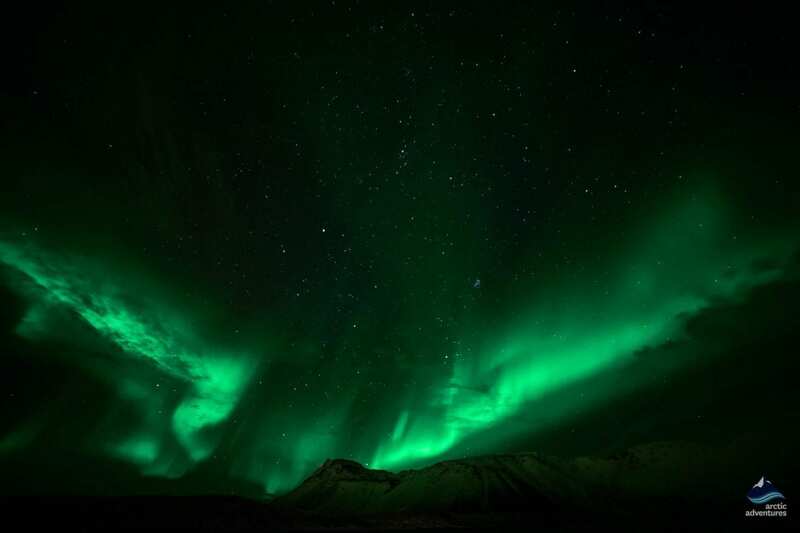 At night, watch as Northern Lights parade across the Arctic sky. Our guide will snap free pictures of you and the aurora borealis, so you’ll have a souvenir to take home with you! 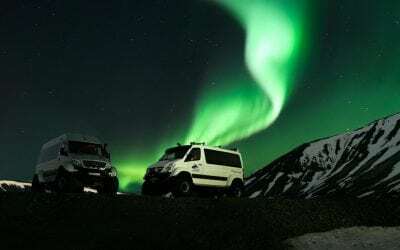 The trip will begin at 8:00 a.m. at your chosen pickup point in Reykjavik. Leiðarendi Cave is just a brief 25-minute drive from Reykjavik. 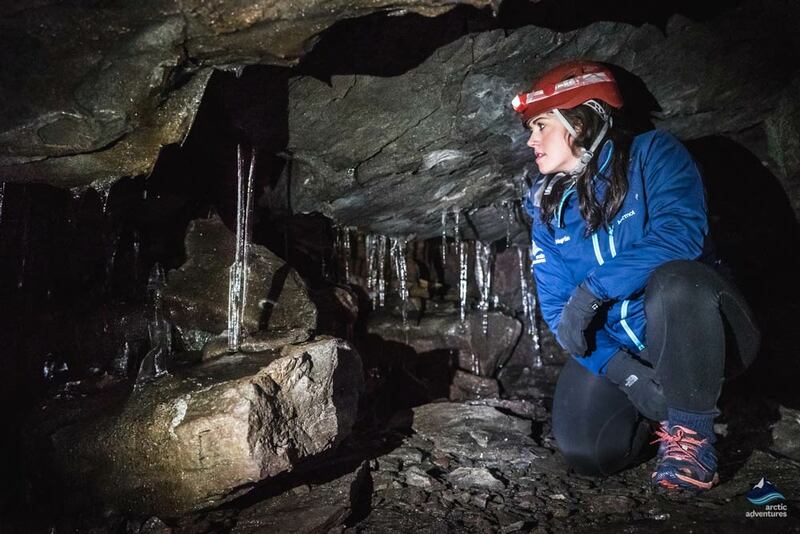 Once on location, before the caving tour, everyone will be issued helmets and torchlights, as our guides value safety above all. Our descent into the earth will start on a secure, man-made staircase. 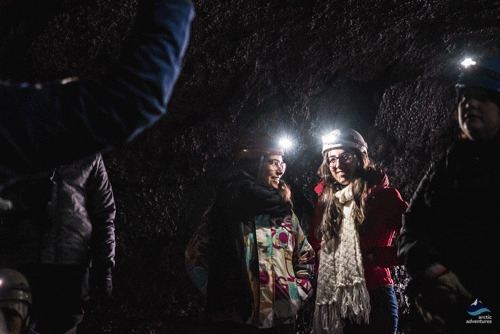 Once deep into the lava tube, you’ll be greeted by the icicle-shaped sleet minerals, astounding lava flow formations, and vibrant colors of the cavern. 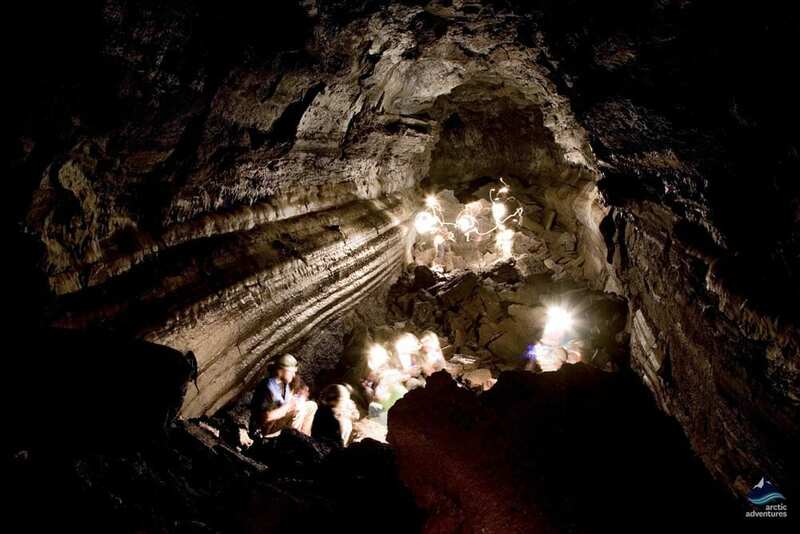 Your tour guide will explain how and when the cave was created, point out the most extraordinary lava formations and glowing, bright colors. The tour will last for about an hour, after which you’ll enjoy a light lunch. 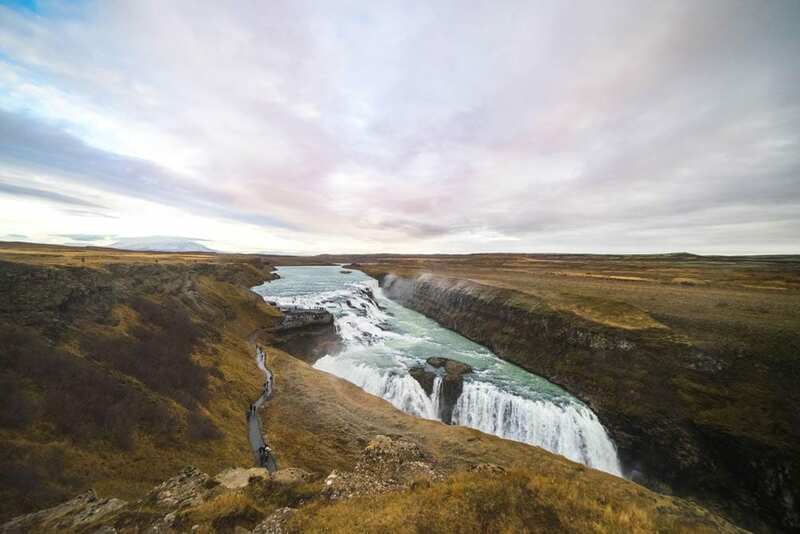 After lunch, at around 13:00 (1 p.m.), the tour will continue towards the three iconic attractions on the Golden Circle tour in west Iceland: Þingvellir National Park, Geysir, and Gullfoss. 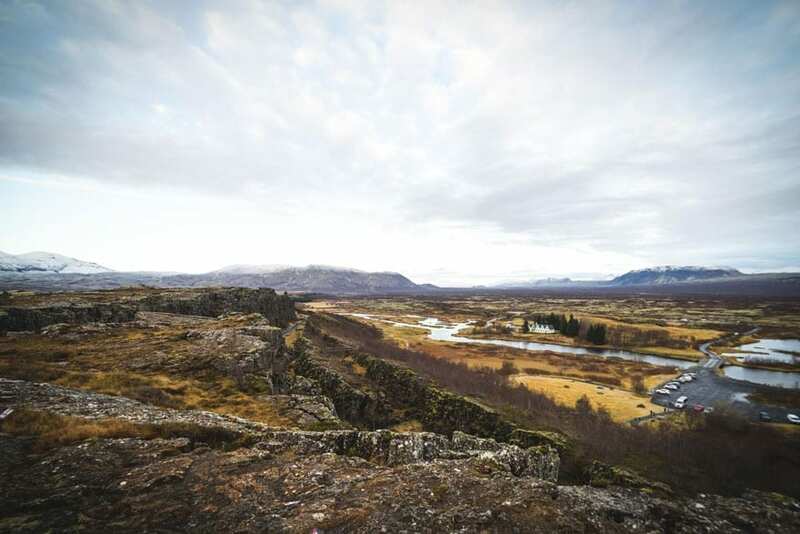 First, you’ll slowly drive through the Thingvellir National Park, Iceland’s only cultural UNESCO World Heritage Site. 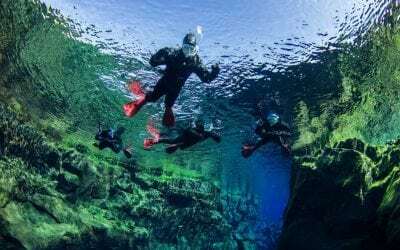 We’ll admire the beautiful Thingvallavatn lake, the rift valley that lies between the two tectonic plates, and the Oxararfoss waterfall. 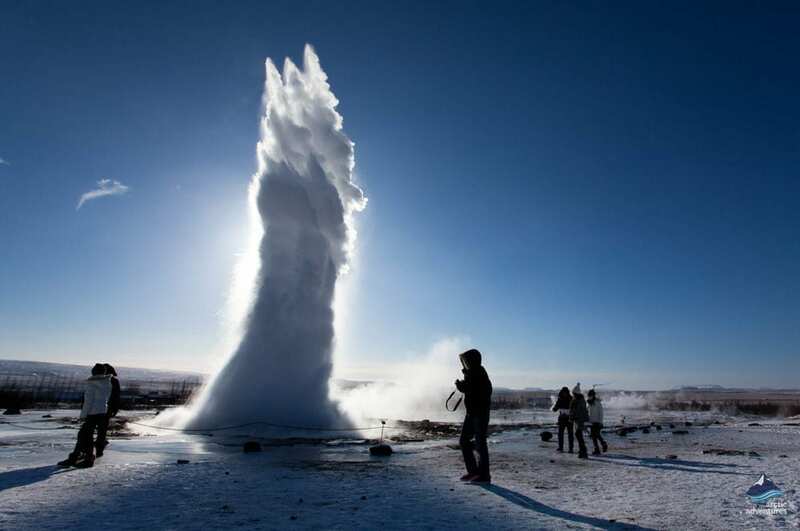 Next on the agenda is Haukadalur Valley – also known as the Geysir Geothermal Area. 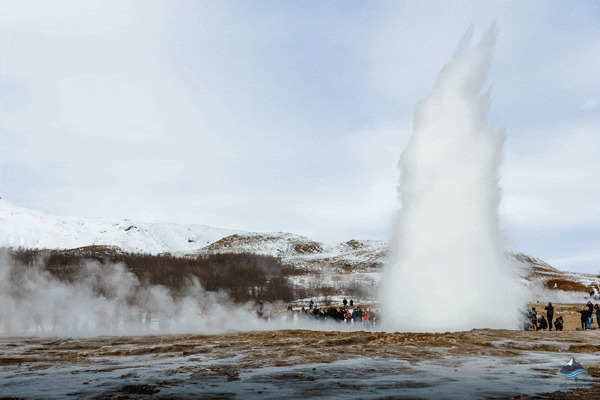 Though the Great Geysir is now inactive, neighboring hot spring Strokkur is equally as astonishing, spouting water up to 82 feet (25 meters) every 4-10 minutes. 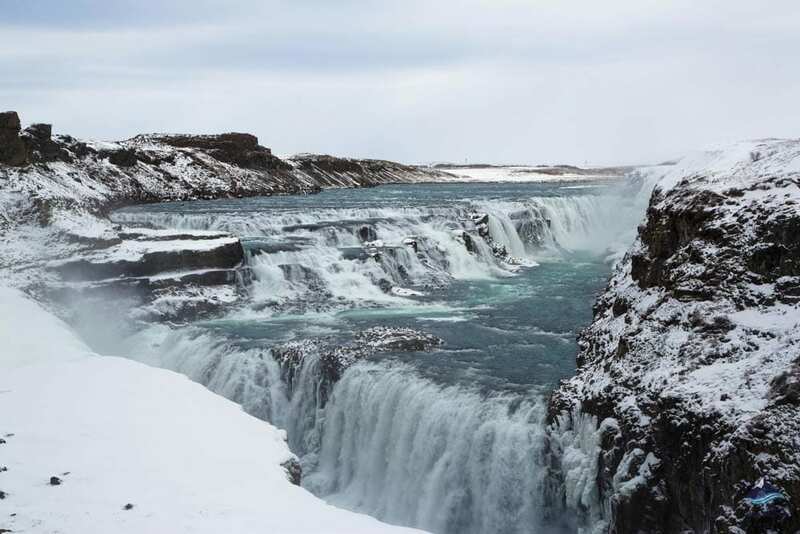 Our final stop on the Golden Circle is the world-famous Gullfoss (the “Golden Falls”). The source of the falls originates all the way from Langjökull glacier, the second largest glacier in Iceland. Once out of the bus, you’ll walk along the pathway, close to the waterfall and experience the full power of cascading water. Then you’ll head back to Reykjavik and we’ll drop you off at your hotel around 19:00 (7:00 p.m.) for dinner. After dinner, you’ll be picked up from your hotel at 20:00 (8:00 p.m.). 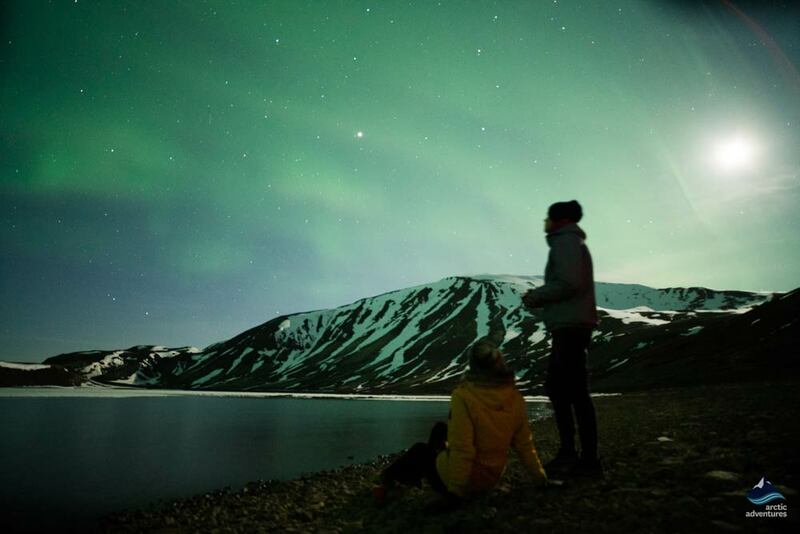 The Northern Lights phenomenon, a bucket-list must, caps off our day tour perfectly. 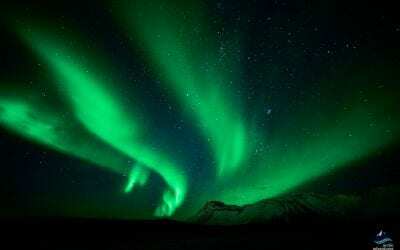 The light pollution in Iceland is very low so the chances of capturing aurora borealis are pretty high. The lights are vigorous and luminous, reflecting at variance in the dark sky every time, so be ready for this once-in-a-lifetime event. After this awe-inspiring experience, the tour bus returns to Reykjavík around midnight and you’ll be dropped off close to your hotel. You will return to Reykjavík before midnight. What to bring: Warm layers, a waterproof top layer, headwear, gloves, scarf and hiking boots. Don’t worry, you can always rent sturdy hiking shoes, waterproof jacket and pants in the booking process. We do not rent gear from locations, it must be ordered in advance. 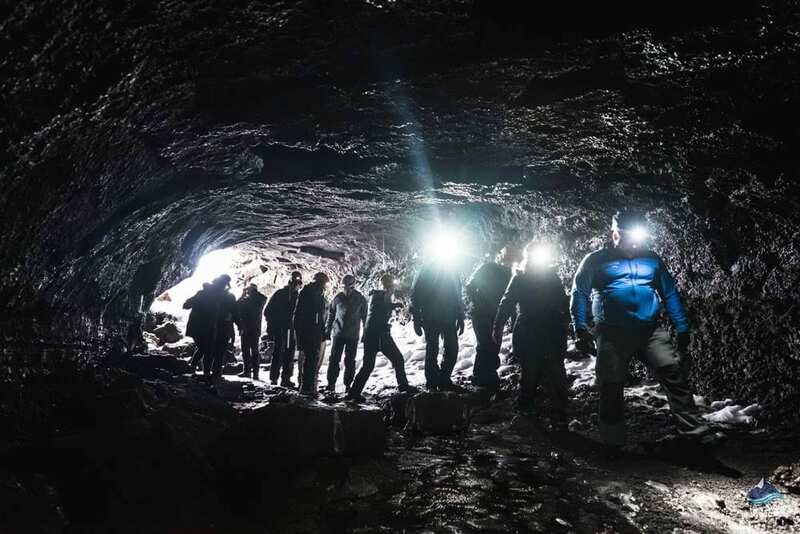 The 1:12 ratio applies to caving - the other minibus tours often have more people. 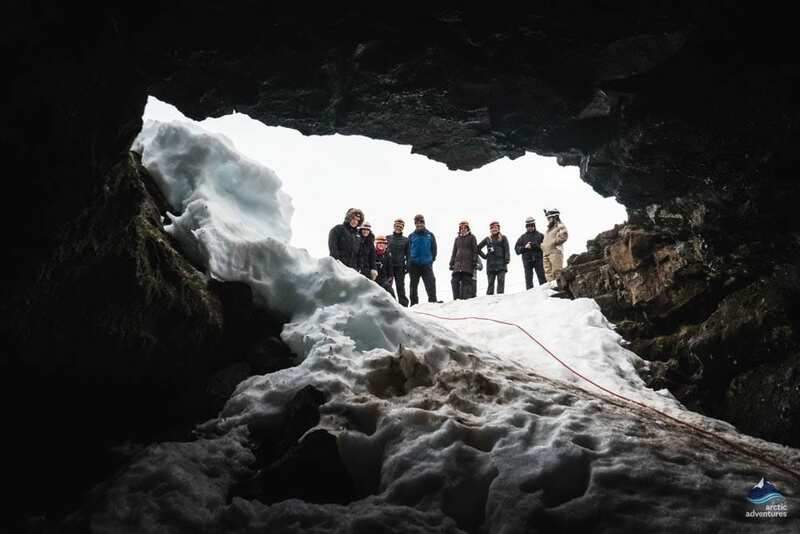 Participants need to be able to walk on uneven ground and travel on all fours a little in the cave. We recommend bringing gloves to wear inside the cave. Are meals included on the tour? Food and beverages are not included on this tour. We will be making a short lunch stop at a café/supermarket after your caving tour. After the Golden Circle, you are dropped off at your hotel in Reykjavík where you can choose from many restaurants for your evening meal. You will then be picked up from your hotel for the northern lights tour.